 This year our expo will be held once again at the Palais des Sports Spyros Kypriannou - the biggest and the most imposing multi dynamic indoor arena in Cyprus. Over the past 15 shows we strived to provide a unique networking environment both in the Expo Hall and beyond, which proves to be successful year after year. This year is no different as we are increasing the show space with new areas yet again! This property is 2 minutes walk from the beach. With direct access to the Mediterranean beach, this luxurious resort features 2 outdoor swimming pools, 1 indoor saltwater pool, 5 different food outlets and a 1,500-square meter spa. Free WiFi is available throughout the property. All elegantly decorated rooms are fitted with a marble bathroom with luxury amenities. Rooms facing the sea come with a balcony, while wall-mounted TVs with satellite channels are available to each room. This luxury hotel is located on the beachfront of Limassol Town in Cyprus, just 5 km from the archaeological site of Amathus. Well known for its excellent cuisine, it also has 2 floodlit tennis courts and a sauna. Rooms have balconies with views of the Troodos Mountains or the Mediterranean Sea. This property is 1 minute walk from the beach. The independently owned Four Seasons Hotel lies on a private part of Limassol’s sandy coastline offering 5-star accommodation amidst tropical gardens with 2 free-form pools and 2 floodlit tennis courts. It also features 3 award-wining restaurants and the exclusive Shiseido Spa. Crowne Plaza Limassol is situated 2 km from the historic centre of Limassol and 1 km from the shopping district. Refurbished in 2012, it features 2 pools, a private beach area and offers rooms with sea-view balconies. 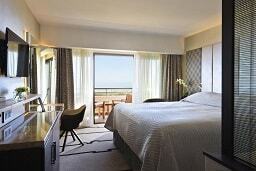 The tastefully decorated rooms of Crowne Plaza Limassol have wooden floors and well-chosen furnishings. Each air conditioned unit comes equipped with an LCD satellite TV, a coffee maker and a minibar. Bathrobes, slippers and Sleep Advantage Kits are also available.